E4 BUS is an American School Bus. It’s a Ford B700 with Thomas bodywork. 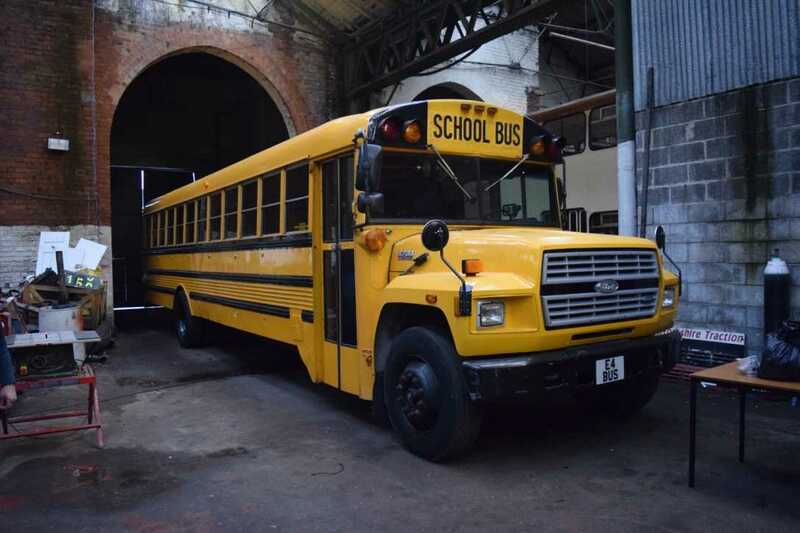 It was new in 1989 and imported to the UK in 2006 by Yellow Bus Events. It is used as a promotional vehicle for them and has been converted to a mobile hospitality unit. The vehicle does travel around the UK quite a lot and has also ventured as far as Paris on promotional work.